The internet marketing club in Michigan has tremendously grown as a support tool for business persons and the public in matters pertaining internet marketing. Regardless of whether you are a business person or not, the internet marketing club in Michigan offers you an opportunity to free events and training in internet marketing. If you are therefore wondering on how to promote your business on the internet this marketing club in Michigan holds the solutions to your problem. The innovation of the internet offers business persons and the public an opportunity to enjoy the benefits of low-cost advertising. In addition to aiding in advertisement, the internet enables people to expand their business operations without needing to spend heavily on capital. The many internet tools to expand your business are either free or cheaper than investing in expansion capital. It is also not a wonder as to why most of the business persons, both sellers and buyers, are on the internet today. Both buyers and sellers enjoy the convenience and the cost involved with online business. With the advantages as stated above, no business person has any reason to leave the opportunities and conveniences found in online trading. It is in this regard that the club offers you an opportunity to enjoy free seminars and workshops on internet marketing. Both the business persons and the public get to enjoy the services of the indiscriminative club. The internet marketing club in Michigan has its meetings at Detroit College on each second Thursday of every month. 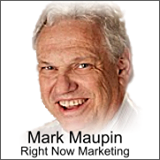 As per most of the events in past meetings, Mark Maupin begins the session at 4 pm with his insightful training on internet marketing. He takes the opportunity to inform the audience of the latest innovations in internet marketing. He also gives the audience a moment for question and answer. The audience and the host, Mark Maupin, involve in an interactive session where ideas are exchanged. His two-hour period which runs from four to six o’clock is followed by the main speaker. Mark Maupin and the organization team organize for a guest speaker from the national sphere to offer insightful talks on internet marketing. The guest speaker plays a crucial role of addressing specialized areas of internet marketing. For instance, a guest speaker could be a specialist in YouTube application. He or she could train the audience on internet marketing with a biased regard to YouTube. The main activities in the club meetings includes responding to audience’s questions, illustrating current examples, critique of audience websites, and the providing business owners the next steps in their businesses. Why must you attend the club’s meetings? Any business person or anyone intending to be a business person is supposed to attend the next club’s meeting. With different guest speakers addressing different areas each month, the club offers the perfect chance to develop and sharpen your skills in internet marketing. The meetings pay key interest in internet marketing due to its importance in the modern digital world. Considering that all the services in the meetings are offered free of charge, you can never afford any excuse to attend any of the meetings. Further information about the internet marketing club in Michigan kindly visit our websites at http://www.meetup.com/MegaEveningEvent-com and www.megaeveningevent.com .